The Immigration Resource Center in Falmouth works out of a building in Town Hall Square. In a political climate where federal immigration policy calls for tougher vetting and a wall on the border with Mexico, many immigrants who live on the Cape and Islands fear pursuing a path to citizenship. The Hyannis-based Immigration Resource Center is trying to help. A service of the non-profit Community Action Committee of Cape Cod and the Islands, the center’s volunteer attorneys work with foreign-born Cape residents seeking to become citizens. 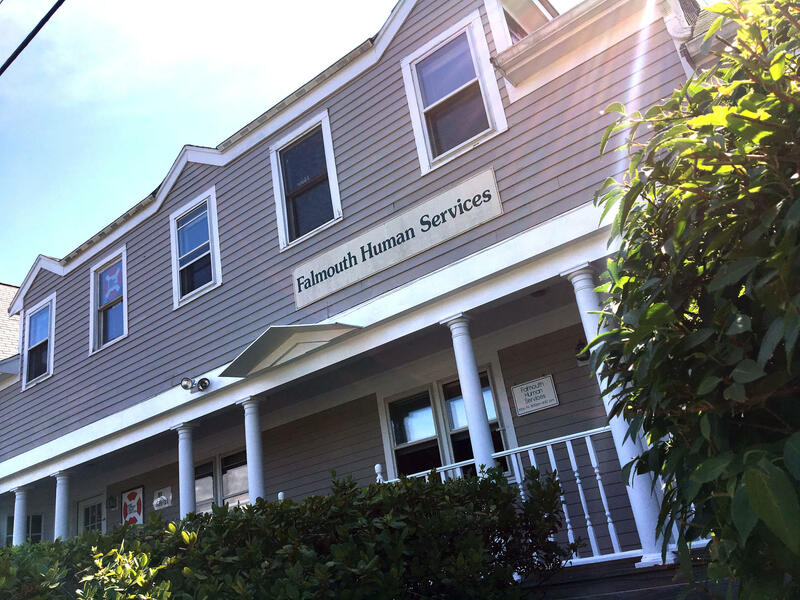 Earlier this year, the Center opened an office in Falmouth. WCAI’s Patrick Flanary has this report on its work, and on one life it’s impacted. Every Friday, at Town Hall Square, volunteers meet with at least a couple of families. They do not help undocumented workers. Yet many of those living here legally worry that visiting this office could undermine their effort to become citizens. “There is that generalized fear that if I come out, someone will know I’m here,” said Richard Vengroff, the Resource Center’s leader. He’s an immigration representative certified by the Department of Homeland Security. Immigration law has never been this complex and nuanced, said Vengroff. This year President Trump has demanded tougher screening for visa applications, the hiring of ten thousand more agents from Immigration and Customs Enforcement (also referred to as ICE), and an end to sanctuary cities. Many immigrants often called President Obama the “Deporter-in-Chief.” During his last year in office, ICE deported about a quarter-million people to Mexico and Central America. Though ICE has removed fewer immigrants convicted of crimes this year, President Trump has taken a more aggressive stance on immigration. Magdalena Kowalska came to America from South Poland in 2003. She was the first person to visit the Resource Center’s Falmouth office when it opened in January. “It was the same day as Donald Trump’s inauguration, so that’s why I remember it,” Kowalska said. She was wary of initiating the process of applying for citizenship. “In the back of your head you always think, ‘What if there is something they find in your paperwork that they don’t like?’” she said. As a single mother of two young sons, Kowalska could not afford to be deported. As a permanent resident—that’s someone who’s held a green card for at least five years—she needed help with all the forms that come with applying for naturalization. While tending bar at Sea Crest Beach Hotel, Kowalska was introduced to Karen Guinn, a lawyer who volunteers at the Immigration Resource Center. Guinn went to law school in Colombia, where she grew up, before moving to Cape Cod and working out of the Resource Center’s Falmouth location. The American Community Survey of the Census Bureau estimates about eighteen thousand foreign-born people were living on the Cape and Islands between 2011 and 2015. About ten thousand of them are naturalized citizens. At the end of the long path to citizenship is a test. Passing that test means demonstrating the ability to speak, read, and write in English. This Summer, at a naturalization ceremony in Boston, Kowalska joined three thousand others in taking what’s known as the Oath of Allegiance. It was their final step toward becoming citizens. Kowalska admits she could not have made it through the process without the months of legal help from the Resource Center in Falmouth. Young immigrants have been crossing the border into the U.S. in record numbers over the past few years. This summer, Governor Patrick offered Camp Edwards as a temporary place to house the youngest of them. People held rallies around the Cape in response – some opposing the plan and some showing support. The Governor’s plan may have struck a chord with Cape Codders since demographics are in flux here, too. Friday is payday for many New Bedford businesses. That makes for a bustling Acushnet Avenue with money-sending shops on nearly every block. Transportes Vasquez sends money and other goods from immigrants in New Bedford to their homes in Guatemala. The owner, Luis Vasquez says on average, 500 people come by to send money every weekend. Cape Cod business owners are bracing for their most unpredictable season in memory. Typically, about 3,000 seasonal workers carrying what's known as an H-2B visa travel to the Cape and Islands for work. Not this year. Only a fraction of them are approved to come back, which could mean devastating effects on small businesses.